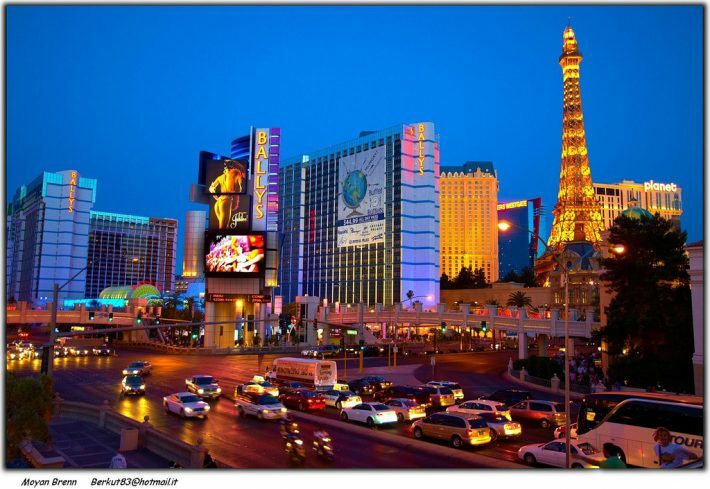 Las Vegas: It’s Not Just for Gamblers Anymore! Tell someone that youâ€™re headed to Las Vegas, and chances are youâ€™re about to do one of two things: gamble, or get married (or maybe both?) But â€œSin Cityâ€ is a lot more than just casinos and wedding chapels, and itâ€™s actually possible to have an amazing vacation there without dropping a single dime on gambling. So whether youâ€™re visiting the city with others who want to try their luck, and you donâ€™t, or youâ€™ve simply never considered this city for a vacation because you donâ€™t want to play the slots or Blackjack, youâ€™re in for a pleasant surprise. In fact, you could probably even argue that thereâ€™s more to do away from the gaming floors! Las Vegas is second to perhaps only Broadway in New York City when it comes to the variety and caliber of shows presented in the theaters along the strip. Whether you want to see a major musical act (Bette Midler, Celine Dion, Garth Brooks and Barry Manilow are all currently resident performers), a magic show, a spectacle like Cirque du Soleil or a traditional variety show with the legendary Vegas showgirls, itâ€™s all here. In fact, you can even catch a performance of popular Broadway shows at some theaters; Phantom of the Opera is a popular choice. Of course, not all of the shows in Vegas take place in the theater â€“ and come with high ticket prices. Several times each hour, the fountains outside the Bellagio â€œdanceâ€ in time to music from all genres; the free show varies throughout the day and never fails to draw a crowd. Treasure Island Casino also offers a free outdoor show each day, complete with pirates, cannons and damsels in distress, and at the Circus Circus hotel and casino, you can catch free circus acts throughout the day. Another free show, the Fremont Street Experience, is a must-see for any Vegas visitor. Fremont Street was the â€œoriginalâ€ strip in Las Vegas, and hotels, casinos and bars along the street still retain the flavor of â€œold Las Vegas.â€ Several times each night, the canopy covering this pedestrian street comes alive with a dazzling light and music show honoring the spirit and heritage of the city. Museums might be the last thing you think of when you think of Las Vegas, but there are actually several world-class and simply interesting collections in the city. The Shark Reef aquarium at Mandalay Bay is a hit with all ages, and one of the most popular attractions in the entire city, thanks to the fact that you get the chance to see rare and dangerous sharks up close and personal. If art is your thing, check out the Guggenheim Collection at the Venetian Resort, or book a table at the Picasso Restaurant to enjoy a gourmet meal in the shadow of some of the artistsâ€™ greatest works. The Natural History Museum â€“ complete with dinosaur bones â€“ is often a hit with the kids, as are the tours to ghost towns and mining villages outside the city. Sure, every hotel, resort and casino offers a gift shop, but the shopping options extend beyond T-shirts and shot glasses. The Forum Shops at Caesarâ€™s Palace, for example, contains more high-end shops in one place than almost anywhere else in the country. Spend a few hours drooling over designer goods from Cartier, Versace, Louis Vuitton and more. These are just a few of the options for non-gamers in Las Vegas. There are also amusement parks, world-class restaurants and spas within the city â€“ as well as plenty of outdoor activities such as golf, horseback riding and hiking just outside of the city. With all of those options, it really is possible to have an amazing trip to Las Vegas without gambling. Carrie Arnold takes a vacation with her family every year to Vegas. But other than a few rounds of slots, she doesnâ€™t gamble. However, she always has a great time! Carrie loves giving newcomers the â€œinside trackâ€ to other fun things to do in Las Vegas and the best hotels to try out during their stay.